Running a Women's 6's format alongside the Men's as there does not seem to be much Women's lax at the close of the season. 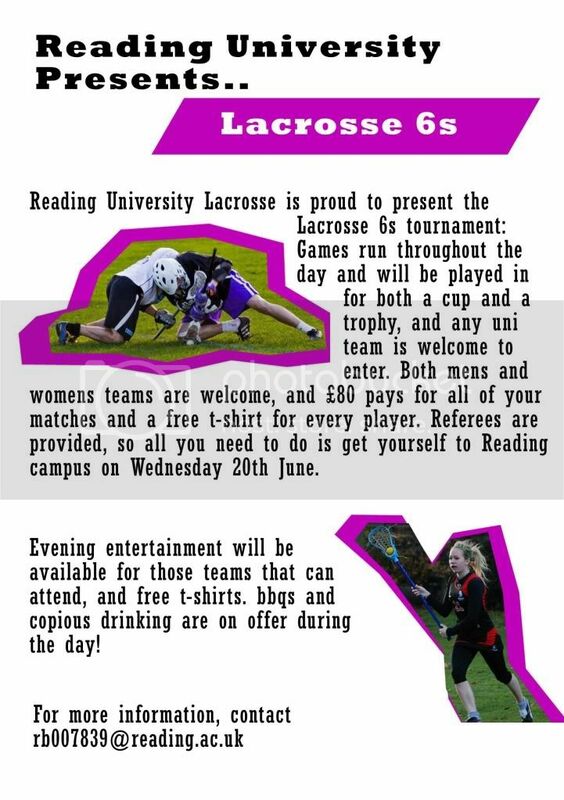 Should be a great day of sunny university lax so please get involved and email for more information. Deposits paid by 18th May will be allowed entry for £60 rather than £80!!! After this date it will result back to the standard entry fee. Get in touch on rb007839@reading.ac.uk. Teams who have paid already will have this accounted as well.